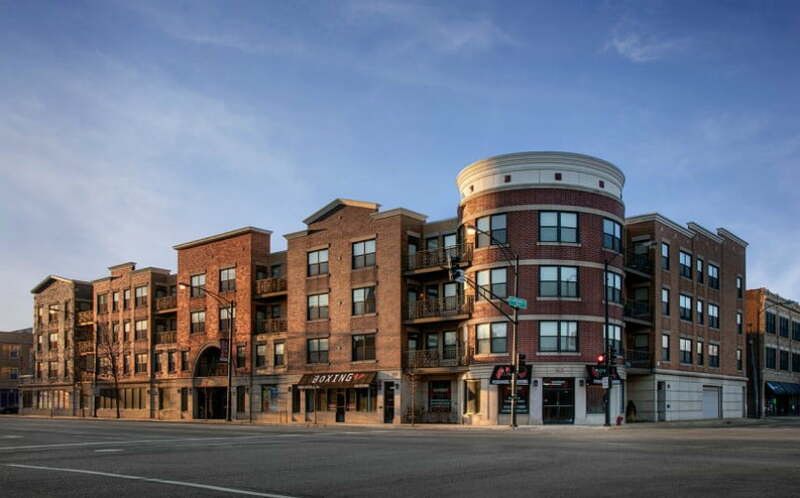 Kiser Group and Affordable Housing Investment Brokerage brokered the sale of Renaissance North in Chicago’s Old Town neighborhood to Avanath Capital Management for $15.5M. Irvine, California-based Avanath was one of many that put in bids for the 59-unit apartment building, which was built in 2003 under the Low Income Housing Tax Credit program and HOME funds via the City of Chicago. “There is a national marketplace for tax-credit financed properties, and this attracted national attention,” AHIB Managing Director Kyle Shoemaker said. The number of potential buyers was eventually whittled down, largely because the property has a complex financial structure and a number of restricted units, and needed a buyer with the expertise to run it. Avanath is a national investment fund focused on workforce and affordable housing. “There are a lot of people who like this real estate, but don’t want to deal with several layers of housing restrictions,” Shoemaker said. Located at 551 West North Ave., near the former site of the Cabrini-Green public housing development, the property includes market-rate units, affordable units subsidized by tax credits and 18 units subsidized by an agreement with the Chicago Housing Authority as part of its Plan for Transformation. Properties like this only hit the market on rare occasions, and have some advantages. Banks are eager to invest in funds that buy up buildings with tax credits because it fulfills requirements under the Community Reinvestment Act, Shoemaker said. Shoemaker and Kiser Group Senior Director Michael D’Agostino represented Avanath and seller Renaissance Cos.
“In addition to the buyer’s focus on affordable housing, they saw opportunities to add value in the market-rate units and the parking garage as well,” D’Agostino said.